Arlington Cinema Drafthouse is hosting their Office Space themed Bi-Annual TPS Report Managers Meeting festival tonight, May 31! The event starts at 7pm and is $12, unless you dress up in "costume" and get a 2 for 1 movie pass. The Choralis Foundation is having their 2012 Greater Washington DC Area Choral Excellence Ovation award ceremony at Clarendon Ballroom on May 30 at 6:30pm. The Choralis Foundation is dedicated to nurturing a passion for choral music in the greater Washington metropolitan area through offering excellence in choral performance and providing educational outreach. The gala will feature a cocktail reception, seated dinner, choral highlights and more. Tickets are $125 here. The rooftop will still be open to the public after 5pm. This Sunday the annual family friendly community event Taste of Arlington is returning to Ballston. 35 restaurants from around the area will be participating along with live music from The Constituents and Lethal Peanut. Tickets are $25 online, or $30 at the event. Each ticket gets you 8 "tastes," each one being a small plate contributed from a local restaurant. It's a good way to sample alot of local fares, as long as you hit all the popular tables before the long lines start. This year, three community non-profit organizations will receive a donation from the proceeds of the event -Arlington Community Foundation, the Virginia Hospital Center, and Phoenix Houses of the Mid-Atlantic﻿. The Clarendon Grill is hosting a charity date auction tonight to benifit Doorways for Women and Families. Eleven years running, this event starts at 7pm and is thrown by the Arlington Young Democrats. Check out all the available men and women up for grabs here. Arrive early and win a chance at a $75 gift certificate to Fireworks Pizza in Courthouse. In addition, if you come to the auction with an item donation for Doorways, you will receive two free raffle tickets. Or if you are interested in donating other items, you can check out Doorways wish list. Doorways for Women and Families creates pathways out of domestic violence and homelessness toward safe and stable lives. 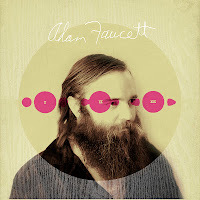 Acclaimed Arkansas songwriter Adam Faucett will be playing at IOTA on Tuesday May 15 with his band The Tall Grass. The Arkansas Times has called Adam "Hands down, one of the greatest, most thoughtful lyricists the state has to offer - certainly one of the most respected songsmiths around." This Arlington show is his first show in the DC Area after 5 straight years of touring.